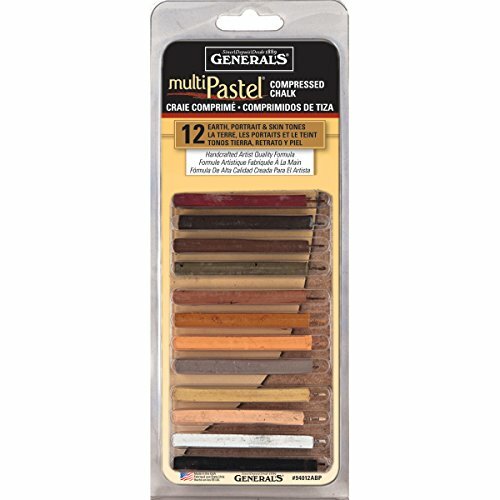 General's Pencil Multi-Pastel Compressed Chalk Stick comes in earth, portrait skin tones and are of artist quality featuring smooth, pigment-rich formula. Square stick is suitable to work on slightly rough or heavy-tooth paper and offer dramatic effects when used on colored papers. Oil-free and acid-free stick can be mixed with charcoal if desired for achieving great strokes. Stick in blendable colors lay down smoothly and is sold as 12 per pack.